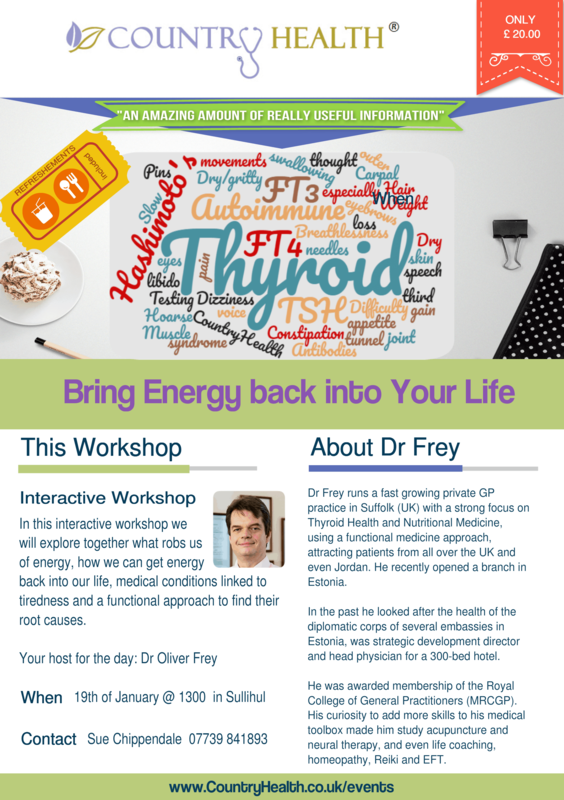 One in 20 people suffer from thyroid problems in the UK, but very often people are misdiagnosed. Symptoms are wide-ranging, but some of the most common ones include extreme lethargy, unexpected weight gain, or depression and anxiety. 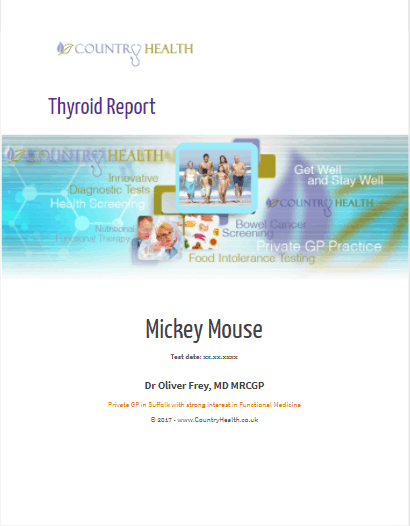 Our Thyroid Report is a comprehensive document, over 30 pages, which explains to you in more detail how your thyroid works, what all the different tests mean, how you can help yourself with lifestyle changes and supplements. 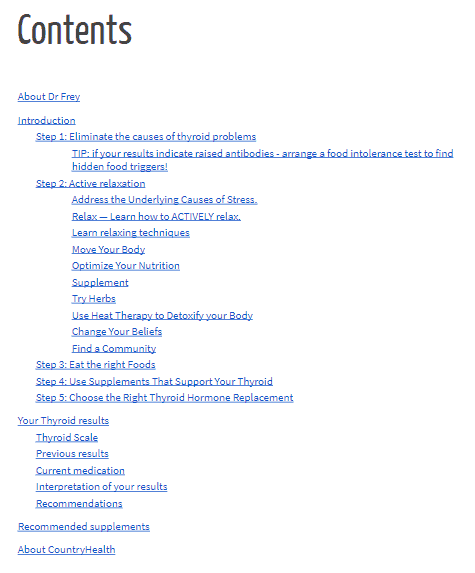 We also explain the different medication and why the standard medication of Levothyroxine does not work for some patients. Your results will be presented in an understandable format, colour coded and we also put them on a scale from -10 to +10 with -1 to +1 being the optimal range. 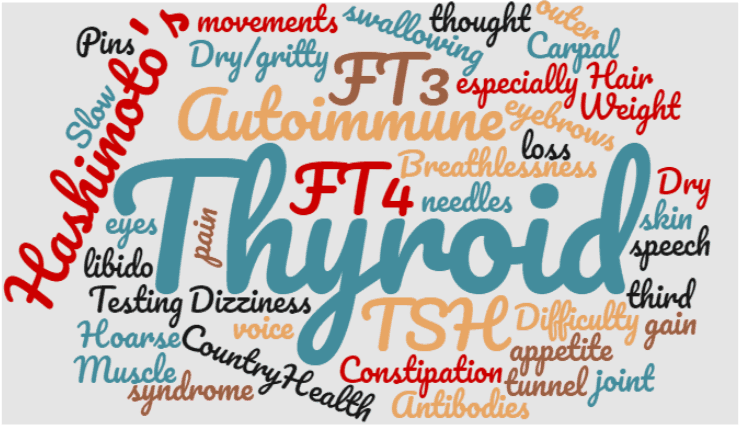 For clients who live further afield and want to have a thorough thyroid test, we have teamed up with Medichecks for blood testing. Once we receive your order, we will send you a Direct Message via our practice software to gather further relevant information. Which tests does the report include? 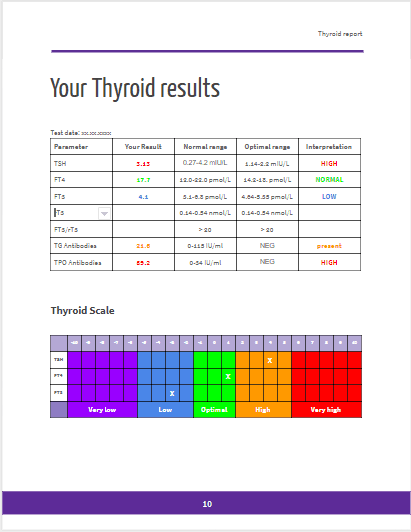 When we receive your results we will generate our Extended Thyroid Report to help you understand the results and to get a prescription if needed. You will receive the report via email. The cost for the tests is NOT included.